Many of the IN-12 (and other type) tube lots on eBay are surplus sales from former Soviet states. Those which include sockets nearly double the cost of bare tubes. And while the sockets I've received were in reasonable used condition, they still had tarnished contacts and soldered remnants of clipped wiring. "New Old Stock" as advertised in these sales basically implies pulls from surplus mothballed equipment, and doesn't indicate that the parts have never been used. 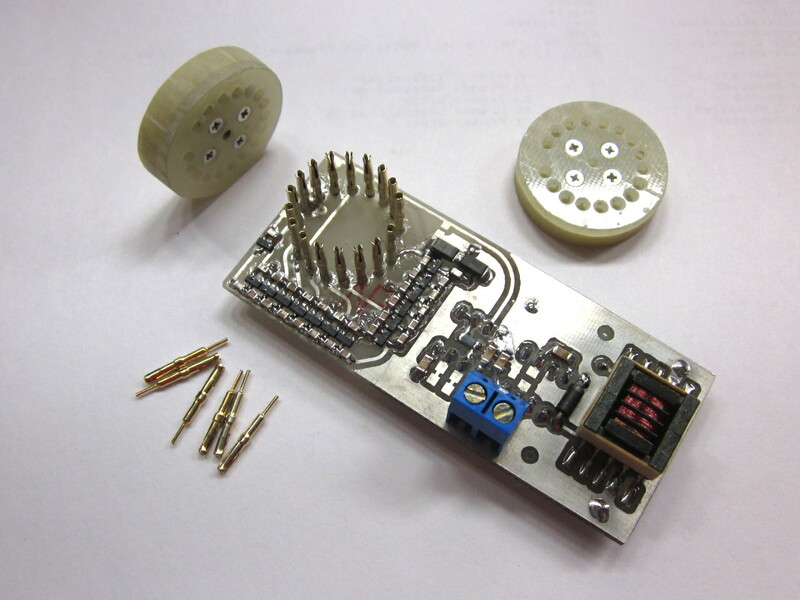 As a cheaper and more reliable alternative, you can consider making your own tube sockets using discrete pins in an appropriate PCB layout. 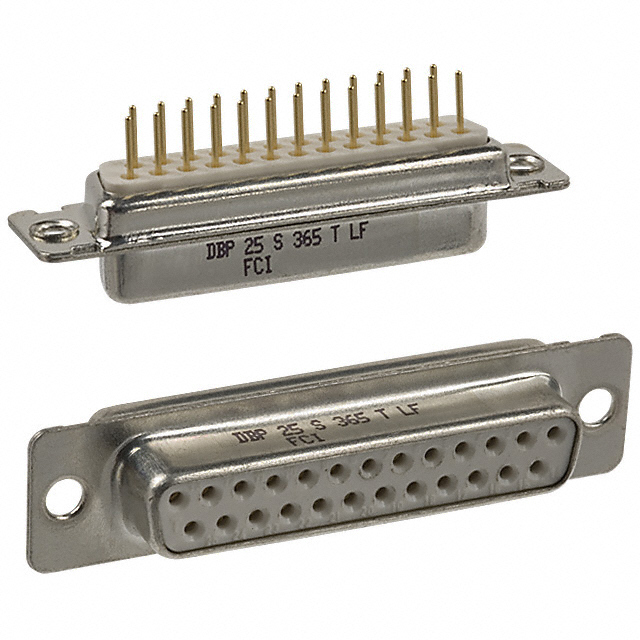 (PCB real estate isn't free, but the opportunity for a tailor-made set of sockets may present additional value for your application in terms of simplified, compact mounting and wiring.) Many tubes, including the IN-12, have a pin diameter of approximately 1 mm. This corresponds almost exactly to the O.D. 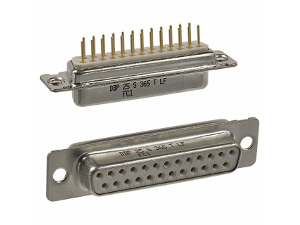 of male D-subminiature connector pins. 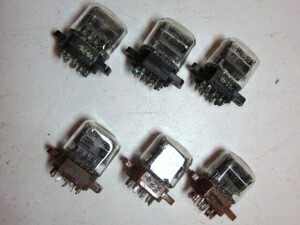 It's easy to disassemble straight-pin PC-mount female connectors like the ones pictured below and recover the pins, which are ideal for nixie tube sockets. Simply drill or twist out the two pop-rivets in the mounting flange, and pull the connector apart. I discovered this trick while building a custom socket for a photomultiplier tube with 1 mm diameter pins, which you can also see below. This isn't an original discovery: SpiralBrain posted the same idea in 2012 with some very nice pictures, and I see many lots on eBay for "nixie tube pins" which are physically identical to these female D-sub contacts. Kosbo.com also offer a product which is apparently the same thing. I don't want to suggest that this is intentionally misleading, or a bad deal. These pins seem to be priced fairly, considering the cost and labor of disassembling new sockets. But you can also source them yourself. I found it very difficult to keep the D-sub pins in a perfect upright orientation while soldering. It's tempting to use the tubes as a guide, but I can't recommend this approach. I suspect the heat from soldering can re-temper the spring contacts while under tension from the pins, resulting in a loose fit and poor performance down the road. Instead I fabricated jigs from thick FR4 material, with stepped holes to fit the pin shoulders. I used a printout of the PCB socket footprint as a drill guide. A custom jig might be overly labor-intensive for a one-off project, but for multiple sets of tubes it's a handy accessory.